Numerous workplace injuries result from lifting, pulling or pushing objects. The part of the body most often injured is the back. Back injuries are considered by the Occupational Safety and Health Administration - or OSHA - as the nation's #1 workplace safety problem. 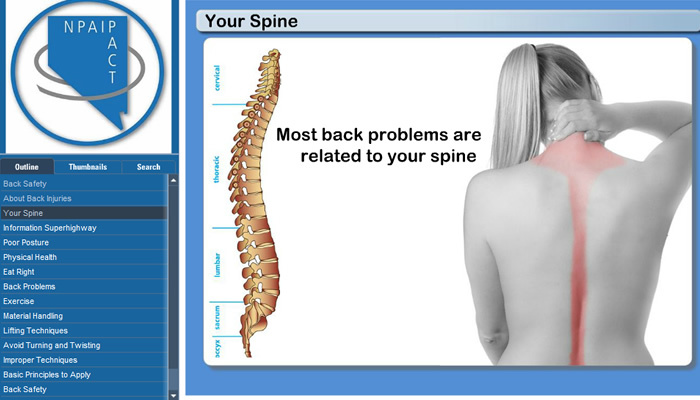 Back injuries are often very painful and can cause a long term or lifetime disability. Back injuries are also expensive to diagnose and treat. They are also preventable. This course will help you understand the nature of back injuries on the job and how to prevent them. 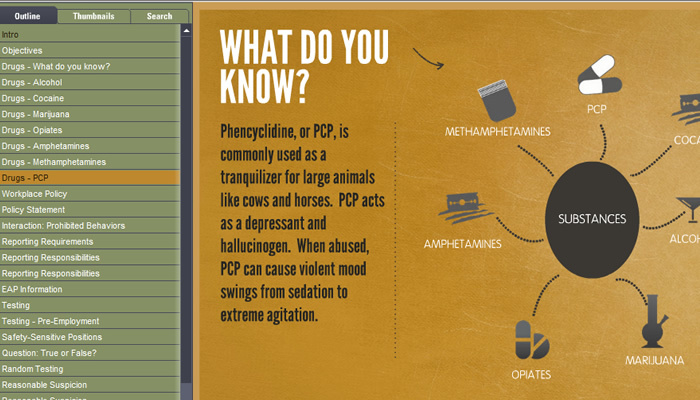 Workers are exposed to hazardous chemicals daily in the workplace. Such conditions pose a serious health threat to the worker. 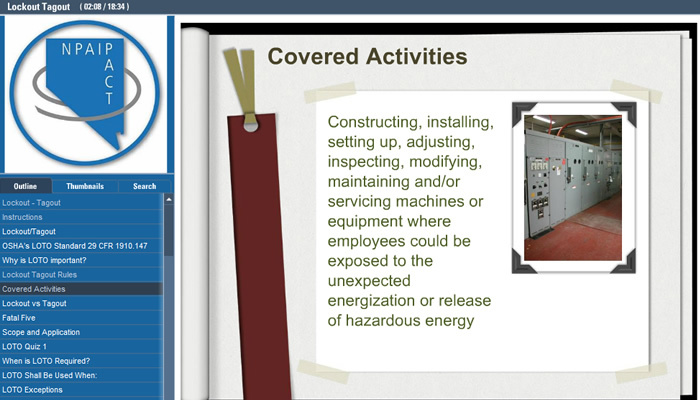 OSHA requires training regarding chemical hazards in the workplace. 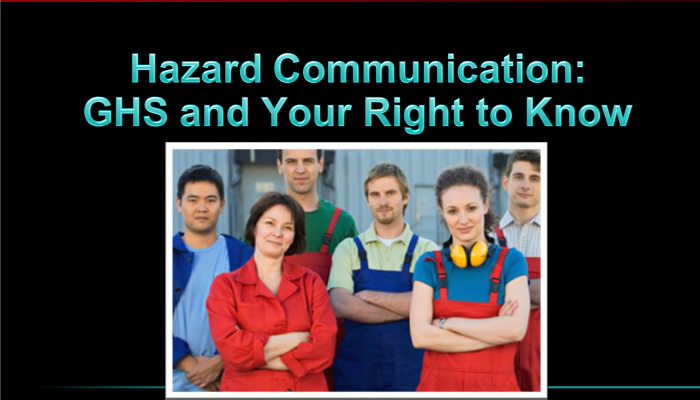 In this course you will learn about the HazCom (Hazardous Communication) Standard and the new Globally Harmonized System (GHS), and how to use Safety Data Sheets (SDSs) and chemical labels to protect yourself from hazards or react to chemical exposures. Heat related illness is dangerous, can kill, and is preventable. 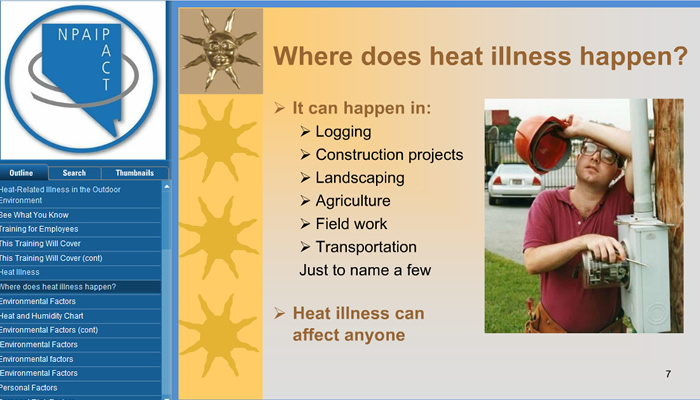 This course covers: -	The different types of heat-related illness -	Signs and symptoms of heat-related illness -	The importance of reporting possible heat illness in yourself or co-workers to your employer and/or supervisor. -	Your employer�s procedures for responding to symptoms of possible heat-related illness, including how emergency medical services will be provided should they become necessary. The objective of this course is to understand the OSHA Standard for the Control of Hazardous Energy (Lockout/Tagout) 29 CFR 1910.147 which covers the servicing and maintenance of machines and equipment in which the unexpected start-up or the release of stored energy could cause injury to employees. This course will help employees understand what MRSA is, become familiar with the common signs and symptoms of MRSA and understand what you can do to aid in the prevention of MRSA in your facility. rst germs to outwit all but the most powerful drugs. 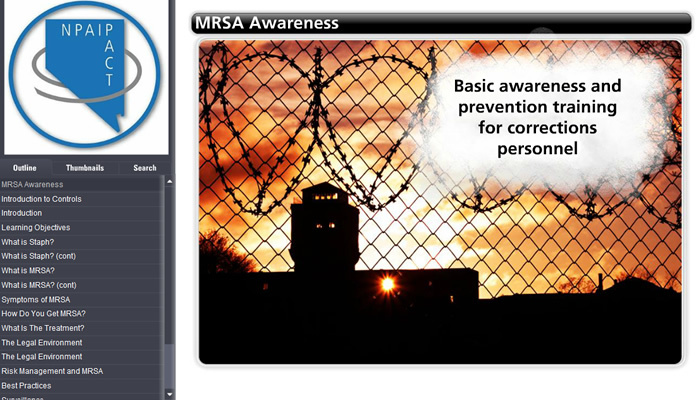 MRSA infection can be fatal. 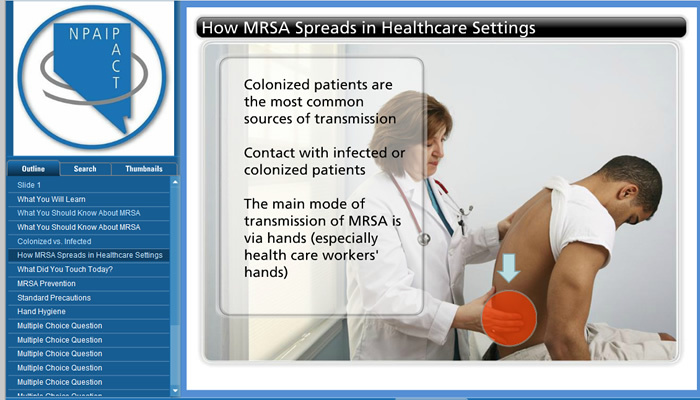 In this course employees will learn What MRSA is (methicillin-resistant Staphylococcus aureus), how MRSA Spreads in Healthcare Settings and how to protect themselves and prevent the spread of MRSA in their facility. 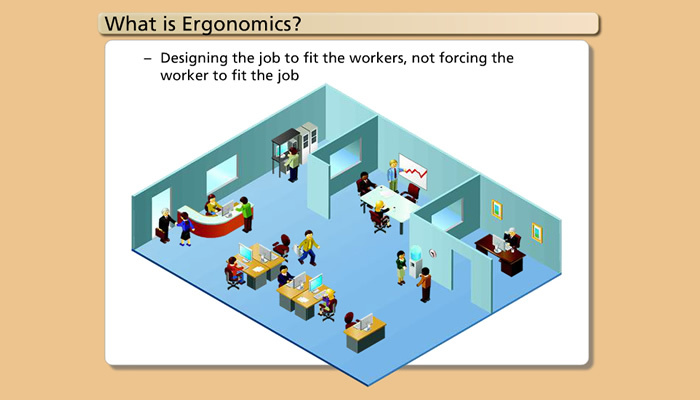 The word "Ergonomics" comes from two Greek words "ergon," meaning work, and "nomos" meaning "laws." Today, however, the word is used to describe the science of "designing the job to fit the worker, not forcing the worker to fit the job." Ergonomics covers all aspects of a job, from the physical stresses it places on joints, muscles, nerves, tendons, bones , etc. , to environmental factors which can effect hearing, vision, and general comfort and health. This course will help employees understand office ergonomics and how ergonomics impact their work. They will also learn to identify ergonomic hazards and how to avoid injuring themselves. 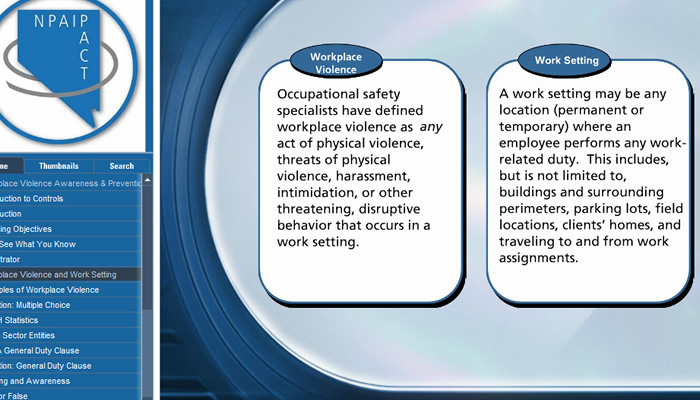 This video-based course explains your rights and responsibilities as a worker as mandated by OSHA, including your responsibility of reporting incidents to your supervisor, reading the OSHA poster in your workplace environment, and reporting any possible hazards to your supervisor. It also covers your rights as an employee, including the right to request an OSHA inspection, file a complaint, and the right to refuse to work in an imminent danger situation. 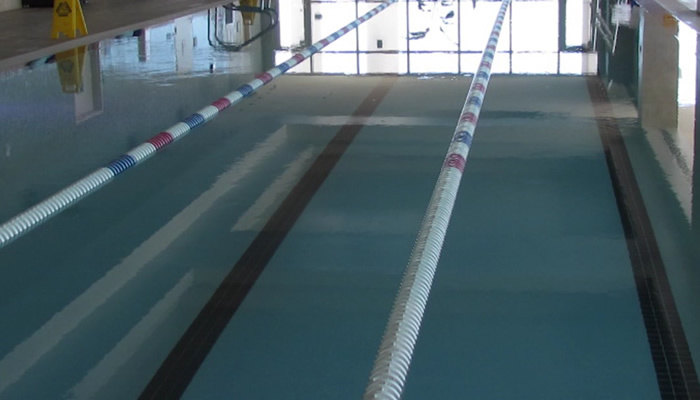 Why do lifeguards and other supervisors miss drowning victims? Four significant challenges "blind" lifeguards from seeing or perceiving - 1. External Distractions, 2. Physical Body Blindness, 3. Cognitive Body Blindness, and 4. Internal Noise. These challenges are demonstrated through the CQLB developed by Aquatic Safety Research Group. This brand new video illustrates the challenges of lifeguarding and provides strategies to mitigate these challenges - which will ultimately help save lives in, on, and around the water. Drowning is preventable. Did you know that slips, trips, and falls are only second to automobile accidents in causing personal injury? On stairways alone, falls result in almost two million disabling injuries yearly. There are thousands more minor injuries caused by slips, trips, and falls each year. Most alarming of all is the fact that industrial falls cause over 1000 deaths each year. 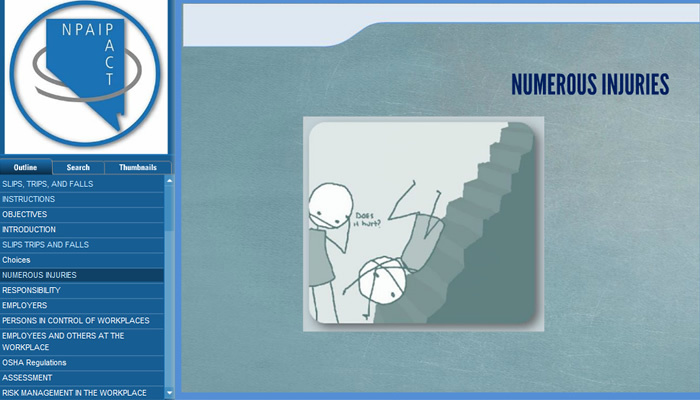 Statistics show that the majority (60 Percent) of falls happen as a result of slips and trips. The remaining 40 percent are falls from heights. The objectives for this course is to understand how to prevent injuries that result from slips, trips, and falls because all slips, trips, and falls can have serious consequences. 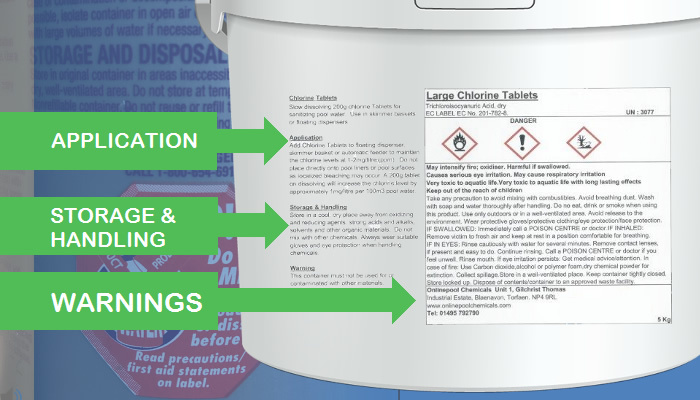 This course introduces proper pool chemical handling and storage, how to store chemicals together, and more. Preventing harassment is a top priority in every workplace. POOL/PACT recommends this training for all employees in order to assist member organizations in achieving a harassment free environment. 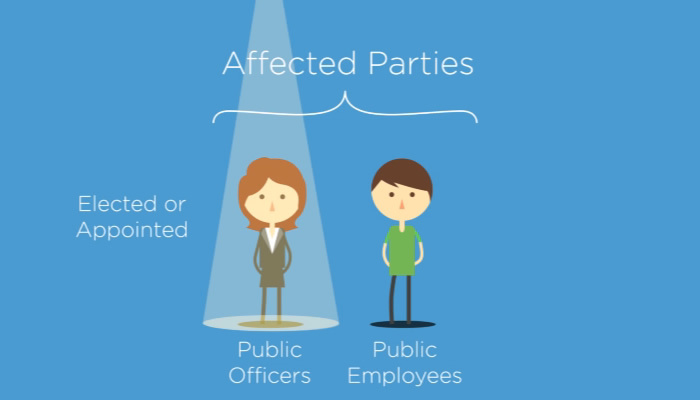 This course discusses what behaviors are illegal, what the "protected classes" are, how to spot harassment in the workplace and the steps to address harassment issues. This is a companion course for Nevada Anti-Harassment Training designed for supervisors and managers and features supplmentary content. 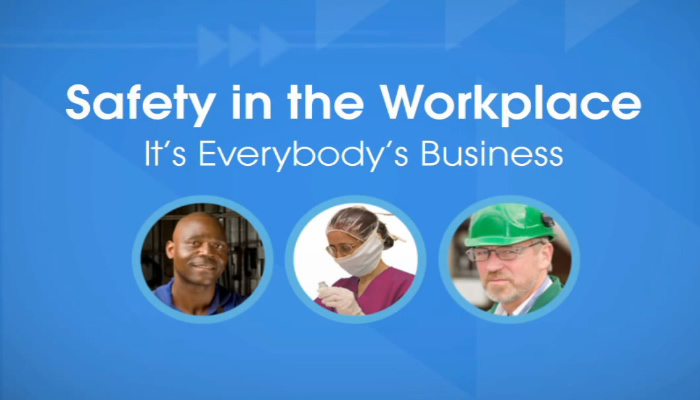 In this course, employees will: -	Identify the commonly used drugs in the workplace; -	Recognize the signs and symptoms of workplace drug and alcohol abuse; -	Review rights and responsibilities; and -	Describe drug- and alcohol-free workplace policy components. 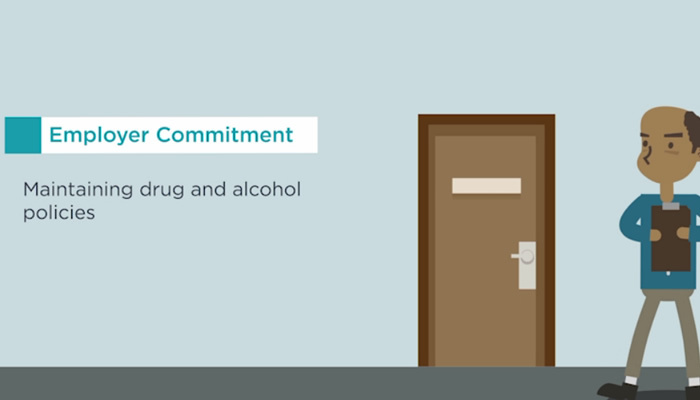 This course is a supplement to the 'Achieving a Drug-and-Alcohol-Free Workplace For Employees' course and features information specific to managers and supervisors. 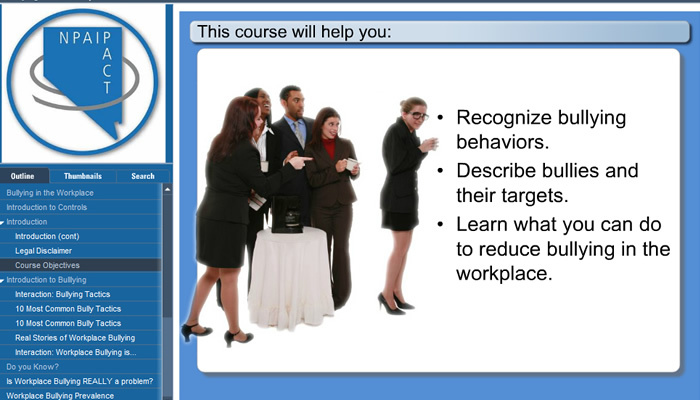 This course will help employees: -	Recognize bullying behaviors. -	Describe bullies and their targets. -	Learn what you can do to reduce bullying in the workplace. 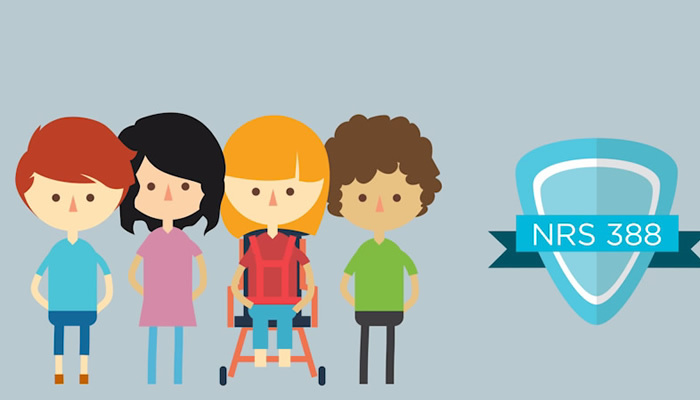 Children with disabilities, like all children, can exhibit challenging behavior, however children with disabilities may have communication issues that make them more susceptible to abuse. In order to protect these children, the State of Nevada has enacted laws in NRS Chapter 388, which prohibits aversive interventions and severely restricts the use of physical and mechanical restraints. 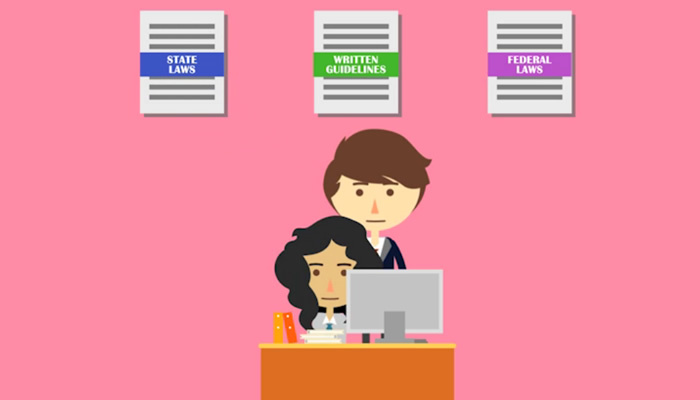 In this course you'll learn what's permissible and impermissible, and reporting requirements. 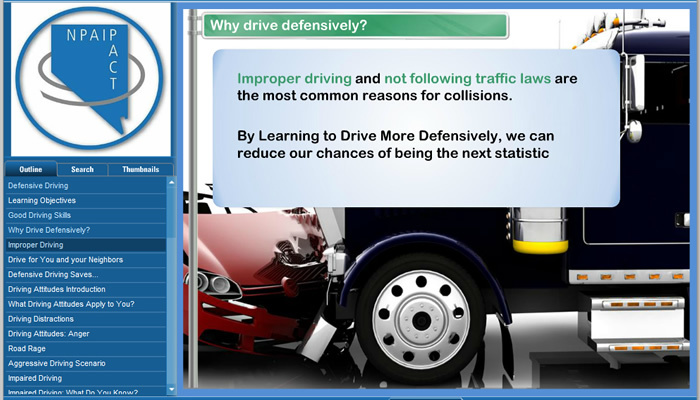 This course is intended to be an introduction to the law, and primarily focuses on what NOT to do. 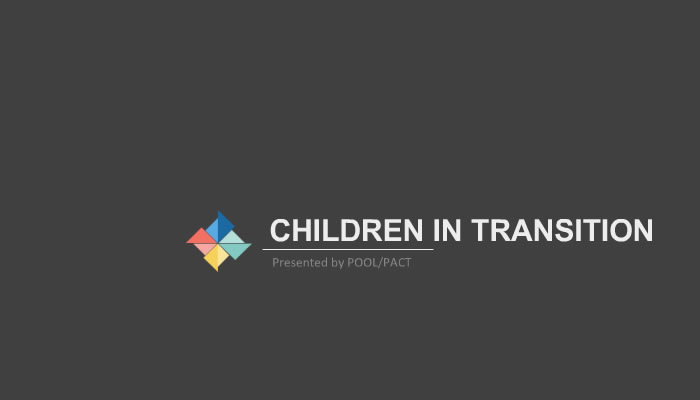 This course covers the topic of students in transition, and includes the process of identifying youth in transition, your role in this process, and the rights afforded to homeless youth in school as defined by the McKinney-Vento Act. The Family Educational Rights and Privacy Act (or FERPA) is a federal law that protects the privacy interests of students. Topics covered during this training include when FERPA rights begin and end for a student, what is considered to be an education record, directory information, legitimate educational interest, exceptions under FERPA, and tips for preventing violations. 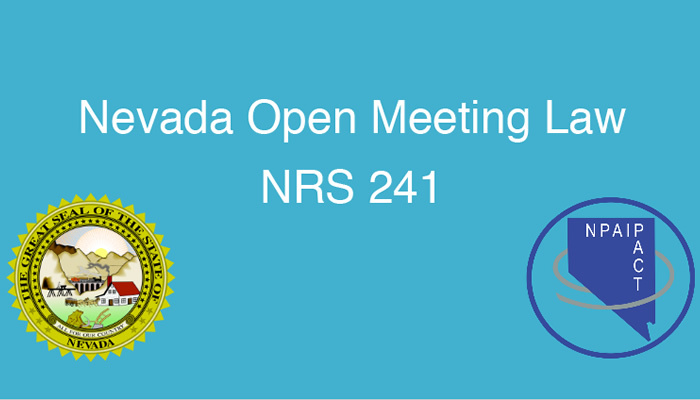 This course is a supplement to You Can Protect our Children (appropriate audiences should engage in both courses) and specifically discusses reporting procedures and Nevada laws. We'll also talk about who is a mandatory reporter, and what Nevada law requires a mandatory reporter to do. 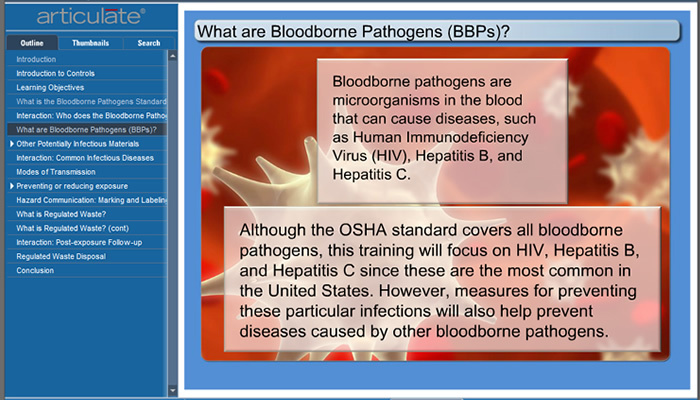 This course is an overview on lab safety, and how you can protect yourself and your students in the lab. 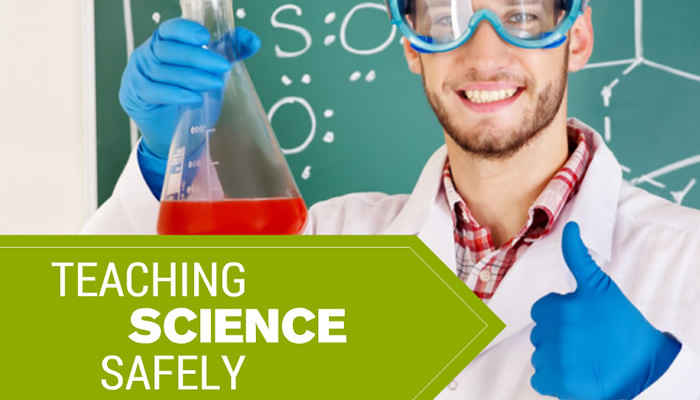 Accidents in high school science labs are more prevalent than you might think, and this course reviews common hazards in the lab, suggestions for the layout of your lab, and creating a comprehensive lab safety policy to build a culture of safety within your organization. 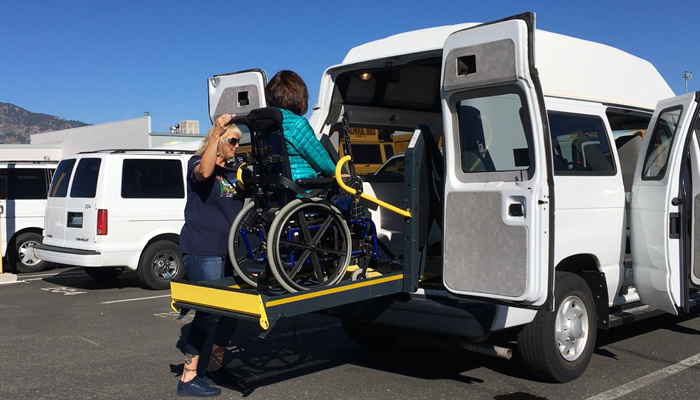 This course reviews how to load, secure, and unload a student with special needs onto transport vans using the van's wheelchair lift. It's essential, critical material to review for anyone transporting students with special needs. An educator who engages in sexual misconduct with a child has committed a terrible betrayal of trust. 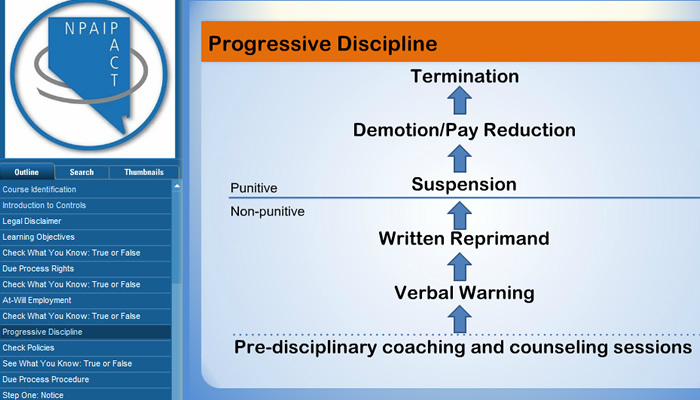 This comprehensive course describes good practices for preventing incidents of sexual misconduct. 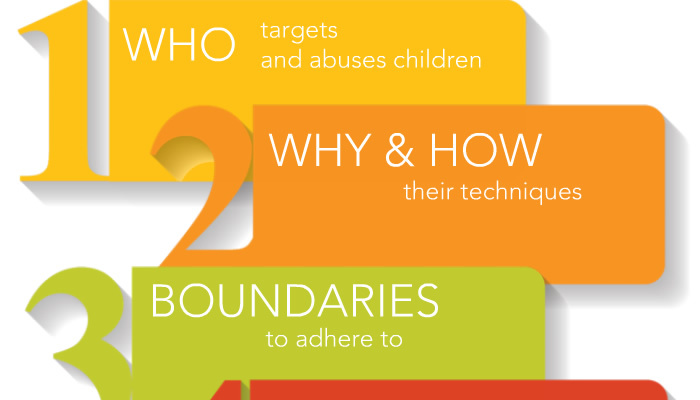 The content in this course includes warning signs of abuse, the behavior patterns of pedophiles and situational offenders, appropriate behavior for school employees, and the concept of access, privacy and control. This course explores the information and strategies a board should consider to both understand and manage risks associated with fiduciary responsibilities. Upon completion of this course, employees will be able to identify the key elements of fiduciary responsibilities which include the duty of loyalty, duty of care, and duty care, and financial oversight. 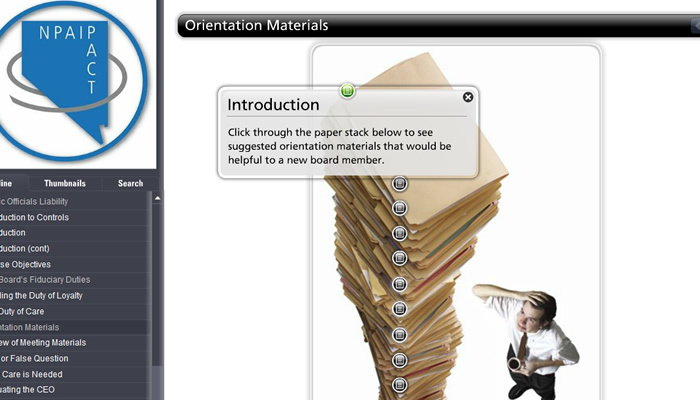 This course is intended only for healthcare workers. This course is a general overview of HIPAA, why it's important, who is covered by the rule, managing medical records in the workplace, and security standards. This course is available by request, and you can email our e-learning administrator at elearning@poolpact.com to request access to this course for your employees. This course dives into the subject of Ransomware, which is a powerful hack in which access to computers and files are blocked for employees, and usually involves a threat or demand of money in order to release the files. Learn how to prevent your computer from being infected with ransomware, and learn what to do if your pc is infected. 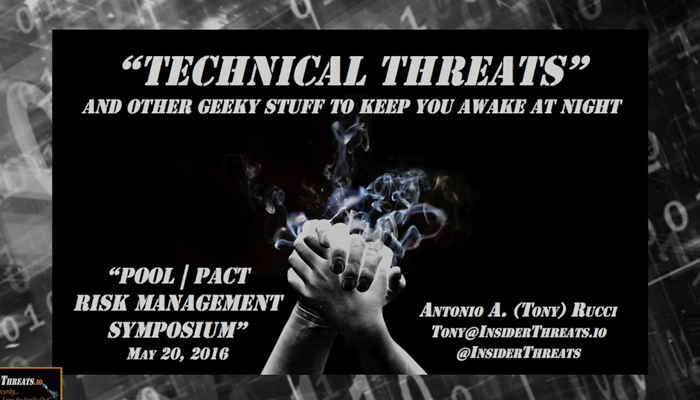 This is a recording of cyber-security expert Tony Rucci's amazing presentation at POOL/PACT's Risk Management Symposium. 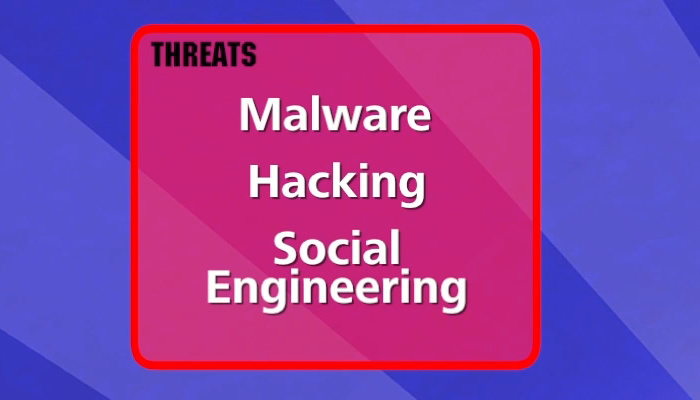 In case you missed it, this is a recording of his session 'Technical Threat And Other Geeky Stuff to Keep You Awake at Night'. It contains a wealth of information on the topic of cyber-security.